India has recently been portrayed as a land of abundant opportunity in academia, investing seriously in research and development to attract skilled scientists. The government has introduced several attractive funding opportunities, with the aim of bringing back scientists working abroad to establish a long-term career here, and improving the overall research infrastructure. Wellcome Trust/DBT India Alliance (WT/DBT) fellowships, for example, have no age or nationality restrictions, relying on qualifications, research experience, career trajectory and the candidate’s determination to establish their own independent research. The WT/DBT India alliance was initiated to develop a large cohort of internationally competitive researchers and help in developing scientific excellence and leadership; a model recently adopted and launched by the Alliance for Accelerating Excellence in Science in Africa (AESA) as well. Since Africa shares a similar burden of healthcare with India, as well as many workplace challenges, Indian scientists are perceived as key collaborators in this mission. There’s a problem here though: age limits on academic positions. Prospective candidates for assistant professor posts in India are preferred by academic institutions to be younger than 35. Although funding bodies are not hiring agencies, the age limit imposed on faculty positions by academic institutions sabotages the driving principle behind these new funding opportunities — the current system is unable to absorb enough competent, experienced scientists. The dilemma for early-career researchers is serious; many fellows are facing this harsh reality and an uncertain future. Every research position has a maximum age limit in India; from a junior research fellow (JRF), with a cut off at 28 years old, to postdoctoral researchers where it is 35 (or 40 years for women). These limits put the Indian academic landscape in stark contrast with many other countries that also follow a tenure-track system. 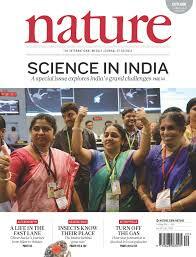 Overall, this makes India a viable option and destination only for scientists of a selected age class. And it certainly gets more complicated for women who want to pursue a career in science and raise a family, with very little allowance made for taking time out for such. I am now in my 40s, which prevents me from being offered an entry-level faculty position. I am also a recipient of a WT/DBT India Alliance fellowship. 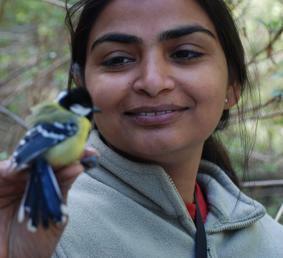 My funding allowed me to establish an independent laboratory to study the ecology and evolution of emerging infectious diseases in wild bird populations, but despite this incredible research opportunity, I feel my career clock is ticking faster than ever. Getting funding to do science is no longer a problem, but academic policies that prevent competent scientists becoming established are preventing me from succeeding. I feel redundant — surely the quality of my science should be the focus rather than my age? Hopefully, this should give others like me some insight into avoiding some of the mistakes I made. First, I should have found a trustworthy mentor who could have helped me to navigate my career path. Never put all your eggs in one basket. I should have pitched my grant idea to multiple host institutions to maximise my likelihood of finding an institution that would guarantee a more permanent position by this stage. Do your homework in understanding the system and host academic institution. Even though I deferred my fellowship for a year as my daughter was too little to be left in a crèche, I realise I should have used that time to negotiate or better understand the policy or the institute’s vision for a research fellow like me. Many academic institutions have no guidelines on the role, involvement and career development of academic fellows. Many academics fail to understand the role and potential of fellows like me and often consider them just as an extended postdoc — not as a long-term prospect or potential collaborator. Hence, I did not get enough of an opportunity to teach and to mentor PhD students. Having my own PhD students would have bolstered my career at this stage, and allowed me to evolve as a mentor. I’ve received various pieces of advice for improving my faculty application and to enhance my chances of a secure job — this was to publish my current research: i) without foreign authors; and ii) as senior or first author in more prestigious journals such as Science, Nature or PNAS. Whilst the first is possible, the second is easier said than done. Apparently, that was the only thing my CV was missing — a clearer demonstration of my calibre and merit as an independent researcher. Interestingly, for established faculty struggling to earn tenure in India, the culture emphasises quantity of publications rather than quality. And, whilst the second piece of advice (primarily from engineers, cell or molecular biologists) is sound, what was missing was perspective on research in the field of ecology — collecting and publishing groundbreaking ecology data in top journals can take years longer than other disciplines. The journals I have been publishing in are not familiar to some of the members of recruitment panels I’ve met with. I have even been asked if ‘Ibis’ and ‘Parasites & Vectors’ were proper journals. Should India be a role model for developing nations? We are struggling to keep our skilled workers, despite the spending per researcher being equivalent to a developed nation like the UK. I hope other developing countries don’t replicate the above policies, as they certainly don’t help to address some of the major longer-term developmental challenges, including a shortage of researchers. In India, with only 200,000 full time researchers (and only 14% of them women) from a population of 1.3 billion, new research institutes currently being developed end up short of skilled workers and blinkered to new research areas. This all said, I am still very excited. I have a competitive edge and enthusiasm for research where I can play a leading role in high-quality research. Perhaps, it’s time to explore science career options elsewhere, maybe in Africa, and hope no one will question my age?